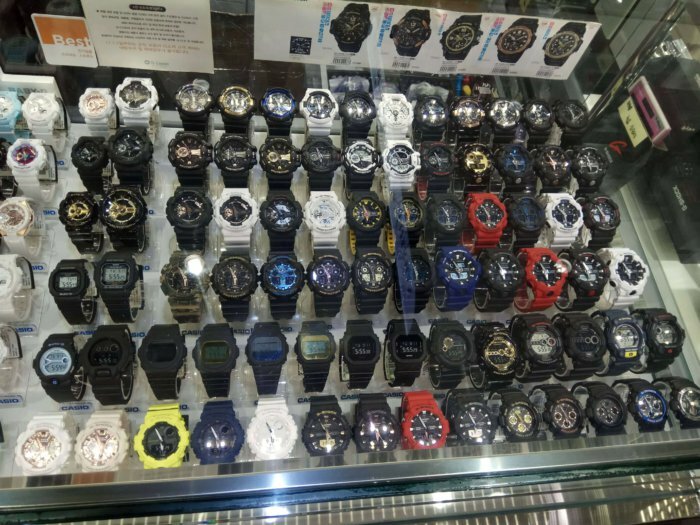 If you ever have a layover in Incheon International Airport in South Korea you will have the opportunity to do some shopping for G-Shocks. The duty-free stores in Terminal 1 have a nice selection of Casio G-Shock and Baby-G watches with prices significantly lower than the U.S. list prices and the prices are listed and payable in U.S. dollars. You won’t find every model but you will find a wide range from affordable to high-end with a lot of newer releases and maybe even some limited editions. 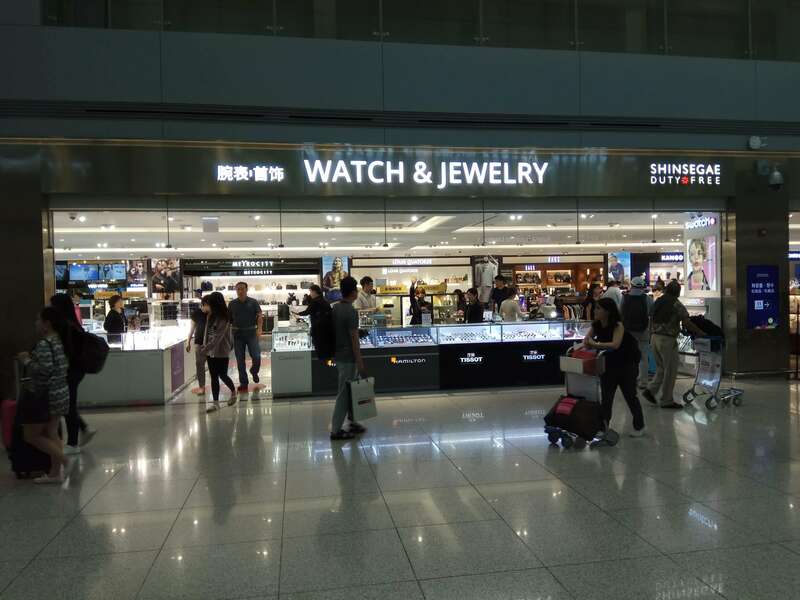 On a recent trip, I went to a few of the duty-free stores in and found a lot of enticing offers. The larger stores were near Gate 26 and near the Gate 29-50 direction. There are also smaller duty-free stores with G-Shocks around the terminal but with a smaller selection. The store near Gate 26 seemed to have the best selection, and the prices were the same at each store. 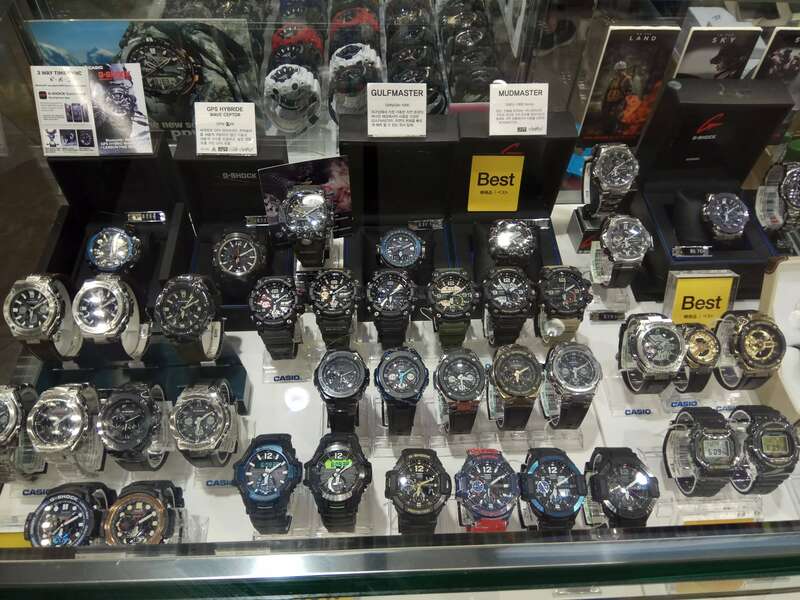 A nice selection of mid-to-high-end G-Shocks was also available including GPW-2000 Gravitymastersfor $734, GSG-100 Mudmasters for $219, the new GR-B100 Gravitymasters for $252, and the Mudmaster GWG-1000-1A1 for $575. The limited edition DW-5035D-1B and DW-5735D-1B screw-back models from the Origin Gold Collection were just $164 each. 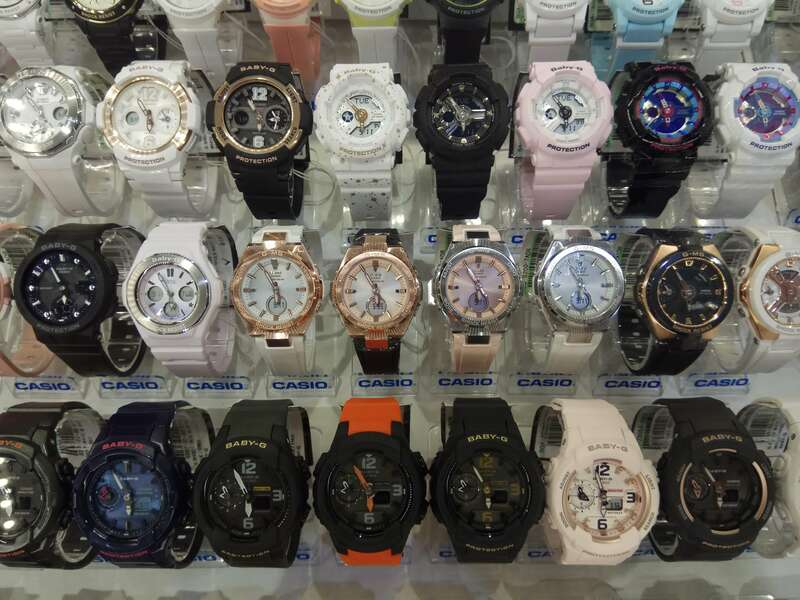 Many Baby-G watches were also available including the new Tough Solar-powered G-MS MSG-S200 series. I ended up buying a MSG-S200G-1A for my girlfriend. 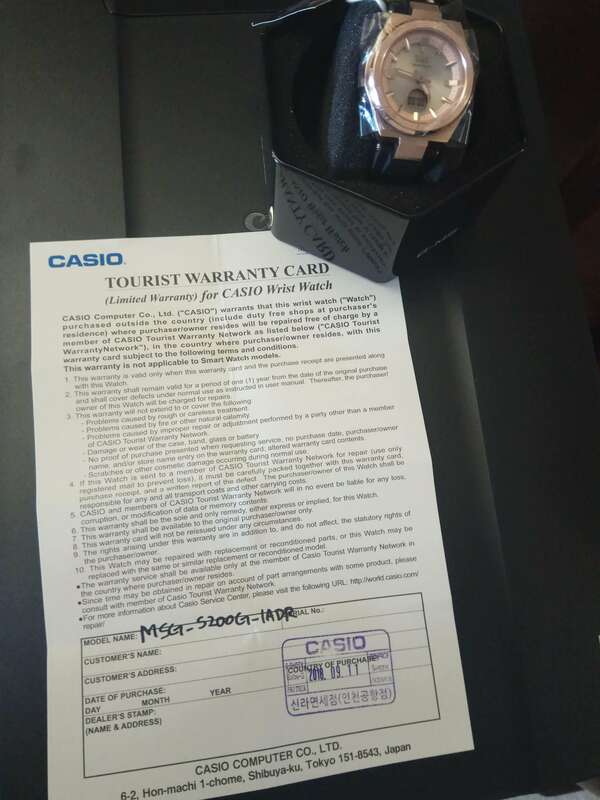 The watch includes a 1-year Tourist Warranty Card from Casio, which offers repairs in the buyer’s home country. Until now I never noticed such deals on G-Shocks in duty-free stores and I’m not sure if I just missed them before or if this is a recent development. 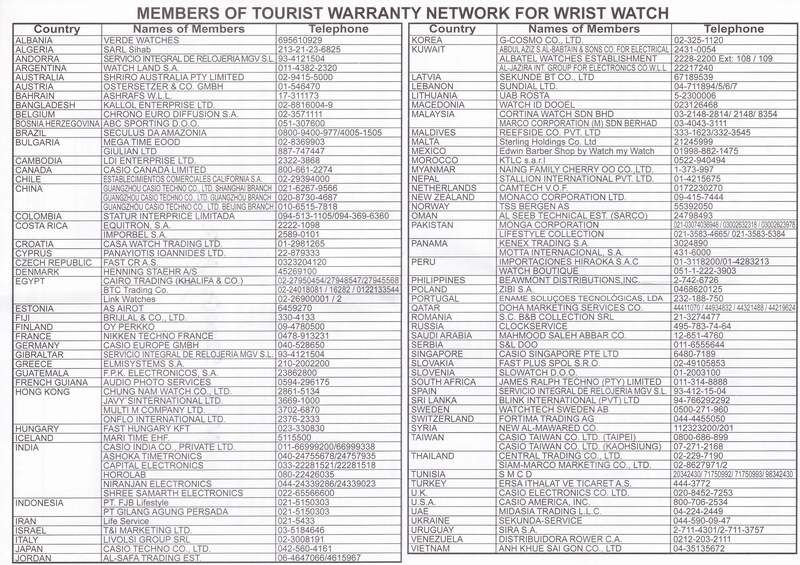 Please tell us if you know of any other countries that have deals like this. 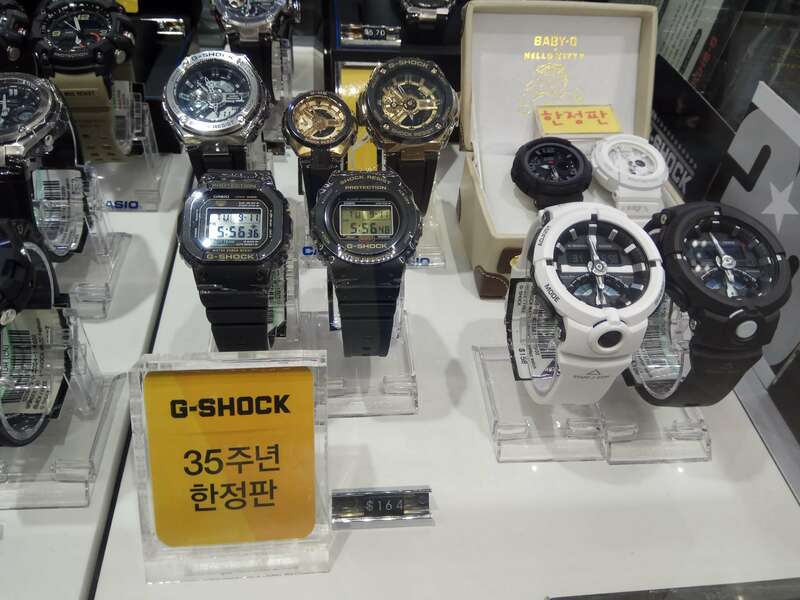 Update: G-Shock watches are also available in the duty free section at Lotte Department Store in the Myeongdong shopping district but it seemed like the airport had a better selection. They may also be available at the Shinsegae Duty Free Shop but I didn’t get a chance to visit. KIX in Osaka is pretty much the same. A better deal is going to most of the bigger electronics stores such as Yodobashi Camera and Bic Camera. They offer tax free discount plus 5% off for using a Visa CC.